Hello! Hope everyone is doing well today!! 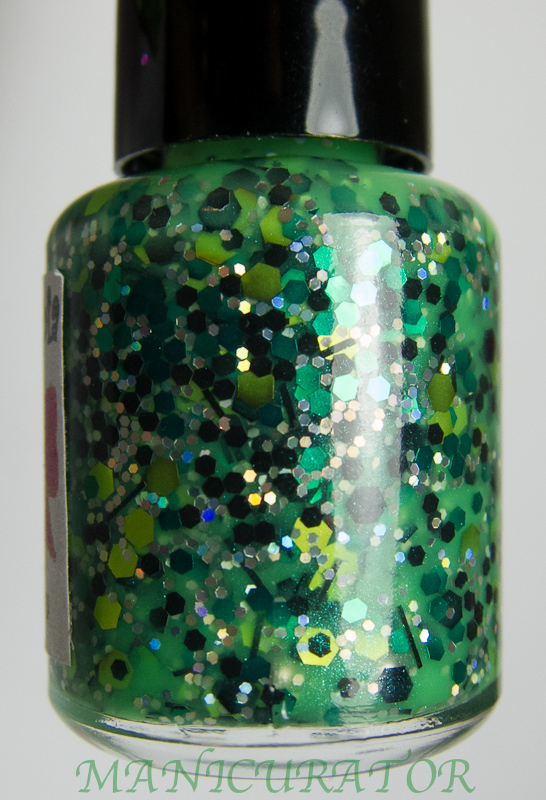 Check out this interesting green beauty from Utopia's Polish. 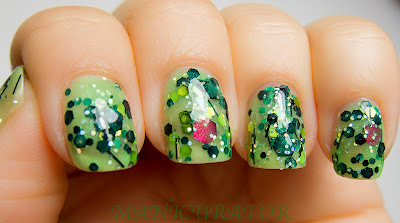 Virginia is a polish making wonder! 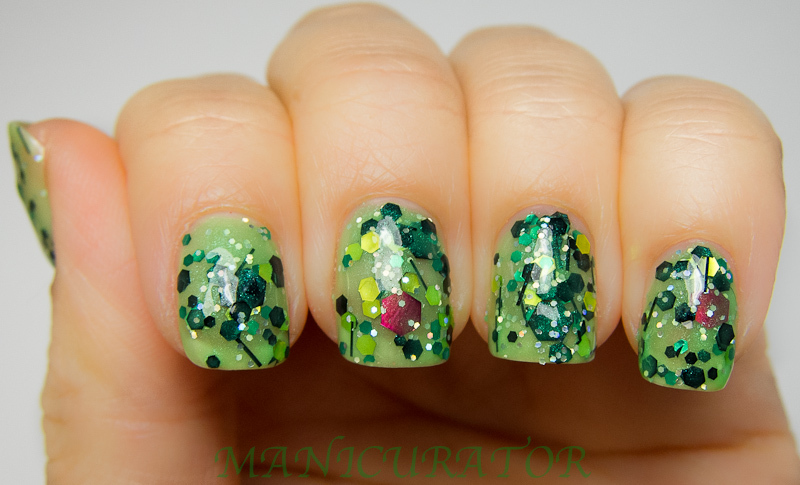 From their description: "This polish has a neon green base with Black, green, pink, glitter hexagons, some holo micro glitter. Named this Yolo it means you only live once it seems to fit this neon green polish." Small 5ml bottle is $4.40 and the regular 15ml bottle is $9. 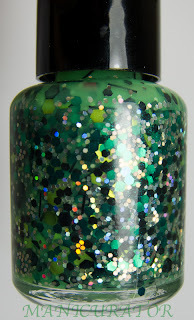 You can shop for Utopia's Polish at her Etsy shop and like her on Facebook for updates! 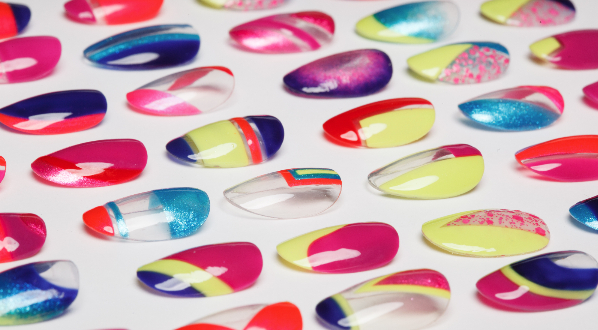 The application had a few small challenges, the glitters wanted to sweep off the nail with each stroke, so you have to use the "dab and spread" method a bit. I did manipulate the glitters a bit while applying to get this look. Also the larger hexes were curling a bit. I actually was able to pick up one of the pink curling glitters and flip it around so it curled onto the shape of my nail instead up upwards. **UPDATE The large pink hexes have been replaced with smaller ones that don't curl! 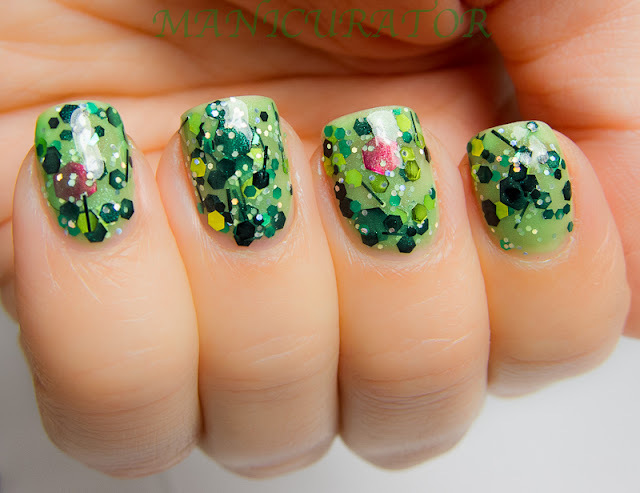 ** This is a really fun polish and very doable *if you have the patience for it. And, your nails will get noticed :) I used base coat, 2 coats of polish, 1 coat of Gelous and then Seche Vite. This is normally not a polish I would find myself wearing, but after having it on, I can tell you, I didn't want to take it off!! 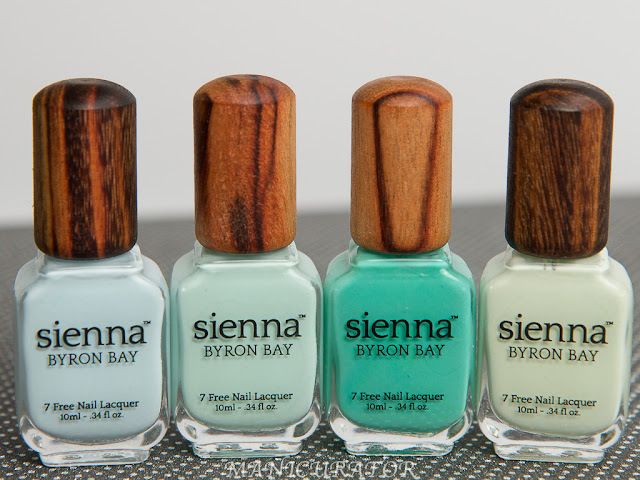 Are you a green lover? Do you like the big glitters? Your pictures are gorgeous. The polish is something I would have to see in real life on my fingers to decide. Awesome macros and a beauty of a polish! NEEDNEEDNEED! right now. these are seriously amazing pictures, too! !